Congratulations! The Independent Book Publishers of America (IBPA) just announced its latest 2017 Silver Winner for the coveted Benjamin Franklin Award. And, the winner is: Textile Fiestas of Mexico: A Travelers Guide to Celebrations, Markets and Smart Shopping, written by Sheri Brautigam and published by Thrums Books. Sheri went to Portland, Oregon, last weekend as a nominee. I know she is excited to be recognized for this accomplishment that explores Mexico as a safe travel destination for those of us who love textiles. I’m so pleased to have contributed two chapters to this award-winning book. 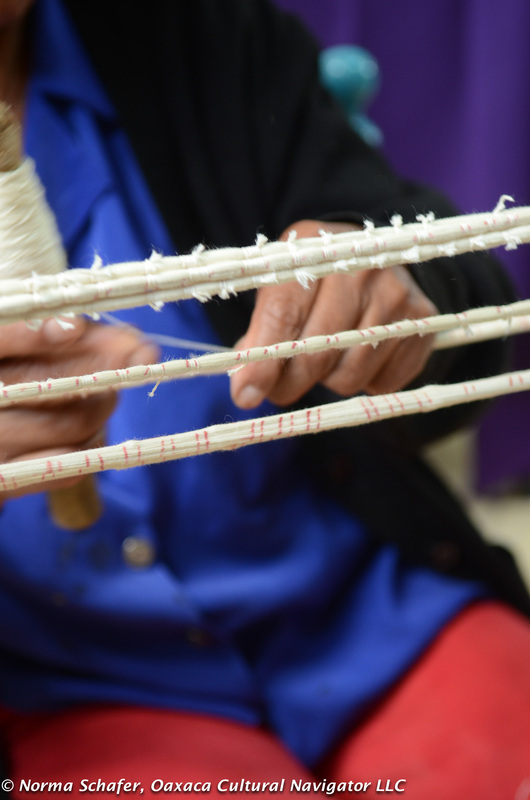 I wrote and photographed the weaving in Teotitlan del Valle, Oaxaca, and in Tenancingo de Degollado, Estado de Mexico. Many who go on our textile study tours buy this book and find it very helpful to supplement the information we give and offers options for independent exploration.